The Zambian government seems to be groping in the dark for solutions to the problems they don’t seem to fully understand. This is simply so because, when President Lungu and his team won the election, their priorities were not to bring development but to finish off the UPND and to enrich themselves. 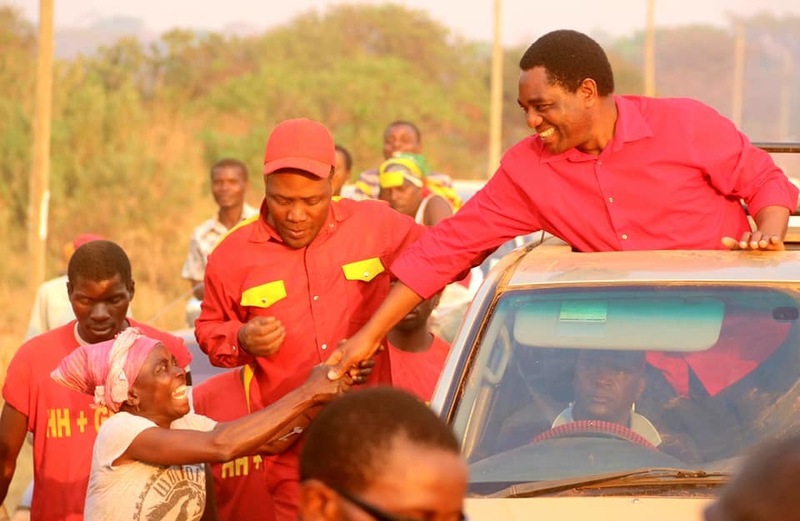 They did every dirty trick known just to make sure Mr. Hakainde Hichilema and his party the UPND was hurt. For students of political science, it was a confusing and remains a confusing cocktail of theories. Some of us were forced to think President Lungu was a typical Machiavellian and before that thought could gain ground we noticed some McCathysim. But later on it was clear this was nothing from any of those files. President Lungu just wanted to clear off the UPND, shut down The Post and then make money. When Mr. Hichilema was charged with the most stupid charge of treason, a lot of us couldn’t understand what drug or alcohol was abused that night. I mean it was clear the charge was an apple in a mango tree. But how did the police and the politicians settle for that? It’s simply because their job was to deal with Mr. Hichilema. When The Post Newspaper was closed, we still questioned. Some of us refused to be lied to by those they hired to spray perfume on their rubbish. We knew The Post was being targeted not for the Tax but because they were an obstacle to their freedom to steal. Due to this preoccupation of hatred and selfishness, these guys reduced governance to mare politicking. They ignored basic principles of governance just to have their agenda fulfilled. They silenced and dealt with anyone who criticised them. Some people at state house were retired in national interest for demanding to do the right thing. They didn’t care to employ accepted standards of governance. Today President Lungu and his government are looking for money. They need the money firstly to sustain an impression that they are working and are not broke. They need the money to pay contractors who they have financial relations with as a way of rewarding them for funding their campaigns. What took decades for Dr. Mugabe to do to Zimbabwe may only take President Lungu just 8 years. This government has continued on this path and they still believe that the world systems will kneel to their levels of mediocrity. Instead of employing people with superior understanding of economics they employed great speakers. My brother Mr. Antonio Mwanza who criticised them with facts, went to sleep as a catapillar and woke up as butterfly. Suddenly my good brother had rebranded his tongue and shoulders. This was a political win for them and they wasted no time they assigned him to deal with Mr. Hichilema and anything related to opposition. Some of us were forced to flee the country we love so much because their parasites were not happy with our questioning. Our constant questions threatened their comfort. A few weeks ago we saw the candidate for the UPND in Kasenengwa disappear like a slay queen whose big buyer has run away. My point here is, the PF have been committed to their type of politics and have neglected important areas of governance. Today Zambia is an international joke on its debt escapades. We are now told we may be losing ZESCO to China like we have lost ZNBC to them. We have become an example of what would happen to a country whose leadership prioritises self enrichment and silencing those that didn’t make it easy for them. My advise to President Lungu now is, abandon the politicking and seek help from qualified Zambians before the situation goes beyond this. Those millions you are receiving from China will choke you terribly. Put the country first for once. Don’t feel shy to consult, this country belongs to all of us, you would do well to involve every one you think can help. If it means inviting the UPND leader for a brainstorming session on our debt session, do it for the betterment of the country.